Metallic hot zones from the experts. For your new furnace or as a replacement. Supporting operating temperatures between 1,000 °C (1,832 °F) and 2,800 °C (5,072 °F), our metallic hot zones are the first-choice solution for our customers. After all, the hot zone has a major impact on many aspects of your high-temperature process, such as temperature distribution, freedom from contamination and power consumption. Count on the experts! We are absolute specialists in all things to do with hot zones. We are able to offer you a wealth of worthwhile design features and combinations of materials tailored to suit your process exactly. Our recommendation: Your new furnace installation should be fitted with a Plansee hot zone right from the start. The choice is yours, and we do all the work. We are happy to work together with the furnace manufacturer of your choice. And the results will be everything you hoped for. Our hot zones are always a good choice. No matter whether you buy them when you purchase your furnace or as a replacement at a later date. We are happy to work together with the furnace manufacturer of your choice. Whether in high vacuums, in protective gas atmospheres or during hot isostatic pressing (HIP). And for any questions you have about sintering, soldering, annealing and heating systems, we are the right people to ask. We are not a retailer but the manufacturer. Hot zones consist of countless individual parts such as heating elements, shield packs and hearth assemblies and charge carriers. You can find all of these components at Plansee. New for old: Your new hot zone from Plansee. Is your current hot zone getting on a bit or is it just not delivering the performance you need? 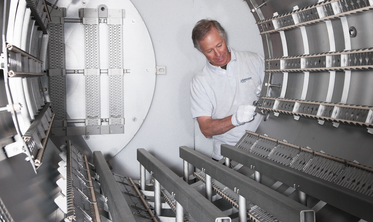 Put your faith in Plansee: Your reliable partner when it comes to replacing your hot zone. We guarantee the very best quality at affordable prices. And our experienced service team will ensure that the entire process is handled with no hitches. Across the globe. You can also obtain our hot zones from many furnace manufacturers. Just have a word with them! 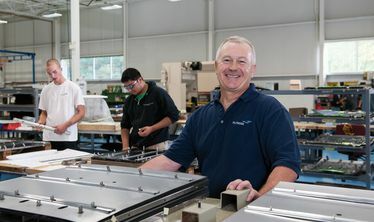 For decades, we have been working closely with furnace manufacturers across the world, manufacturers who rely on the quality we can deliver. Equipment packages for your hot zone. Our Basic hot zone has a simple, but tried-and-tested design. It is recommended for temperatures up to 1.350 °C / 2.372 °F under moderate operating conditions. Shield pack, hearth and element supports are made from pure molybdenum and guarantee the highest levels of purity in the furnace. We make no compromises with the heating elements, and use exclusively Plansee ML. The most cost-effective solution for moderate operating conditions. 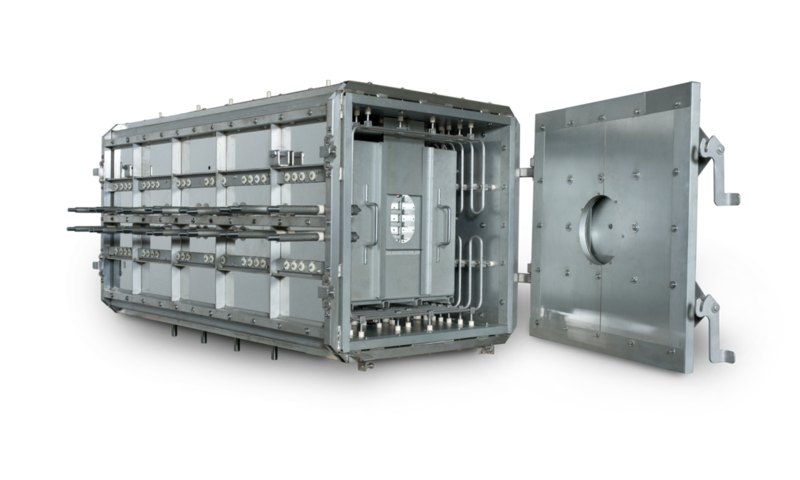 Our Premium hot zone employs extremely creep-resistant molybdenum alloys such as ML and TZM for all key components alongside with high-quality stainless steel support structure. 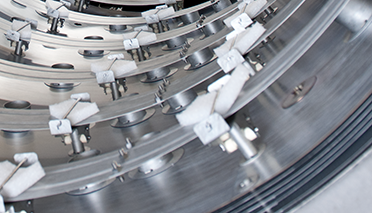 Special design features ensure high resistance, improved functionality and a particularly long service life. The higher initial cost of the Premium hot zone is recouped after just a short time. It represents the ideal solution for demanding operating conditions and a long service life. With our Enerzone range, we have reduced power consumption by up to a quarter without any compromise on performance. Our engineering group has achieved this by adding more molybdenum layers in the heat shielding, optimizing its design and reducing the weight of the hot-zone. This is made possible by innovative manufacturing techniques and our advanced molybdenum alloys. For maximum performance and minimum operating costs. How much will your hot zone cost? Just enter the dimensions of your usable space and you will see the price for the basic equipment version (Basic hot zone). Important: The online calculation only functions for round hot zones and refers to models designed for temperatures from 1,100 °C to 1,350 °C. We would be happy to draw up an individual estimate for you. The value must be between 375 and 1200. * Price for equipment package "Basic" without construction services. Construction 6-12%, equipment package "Premium" 10-15%, "Enerzone" 20-25%. Delivery: Package "Basic" from 12 weeks after reception of order. We produce our hot zones at four Plansee production sites worldwide: in the US, Europe and Asia. 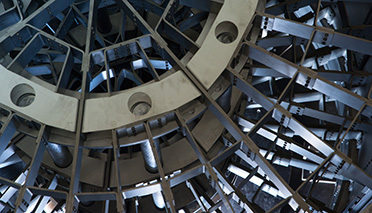 With the world's largest production facilities for refractory metals and our large sales and production network we ensure proximity to our customers, attractive prices and enough capacities for all your demands. This customized hot zone is part of our energy efficient Enerzone product line. Why use metallic hot zones? 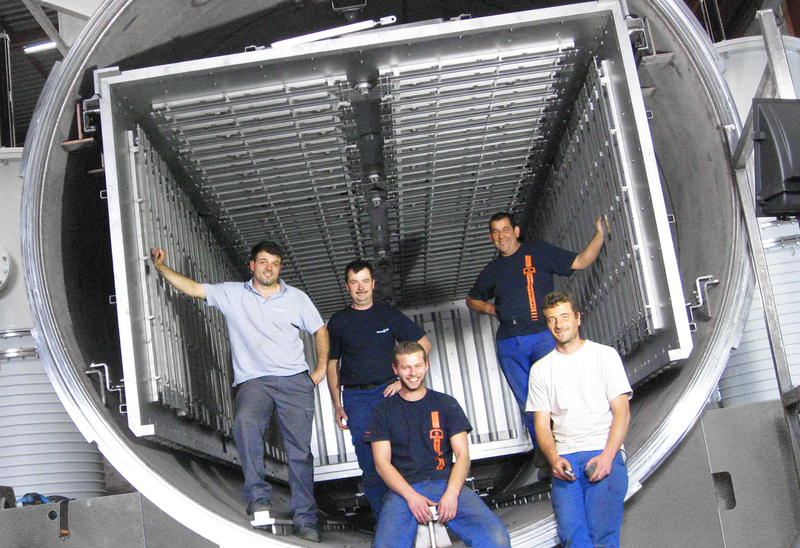 Fully metallic furnaces are the clean solution for particularly demanding applications. Graphite furnaces frequently cause impurities due to the presence of carbon – a highly reactive material that can damage your products. In contrast, metallic furnaces with hot zones from Plansee do not suffer from this problem. They are exceptionally clean and guaranteed carbon-free. Planned to the last detail. We have a team of ten engineers specializing entirely in furnace construction. Whether in the field of coating systems, annealing furnaces or sintering furnaces: We are experts in all high-temperature processes. Taking account of the atmosphere, cycle times and temperatures, we will work together with you to fine-tune the very best solution for your furnace. Every detail must be right. FEM analyses help make sure there are no mistakes. For example, we can simulate how your hot zone will function in live operation. In complex projects, our team of engineers constructs models using 3D computer drawings. And before production starts, everything is checked right down to the last detail. For our engineers, good isn't good enough. As a result, our team often comes up with some very special solutions. One example: In the past, hot zones have always been designed to lie in the same plane. This has a disadvantage: In very large furnace installations, these hot zones soon start to sag at high temperatures. This leads to short-circuits, fractures and downtimes. The new Plansee-patented design is curved. Sagging? No thank you! A giant? Of course, it's one of ours. 50000 individual parts and eight meters long. 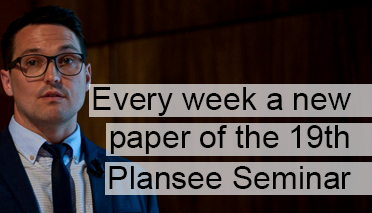 Clearly a case for Plansee - and a very big one, too. The largest hot zone that we have ever manufactured is a construction weighing more than six tonnes. Our team had to work hard to achieve this feat: from design right through to installation in the boiler at the customer's premises. It was even necessary to develop new tools for the demanding heating components.